Argentina is in talks with the International Monetary Fund to obtain a credit line to help halt a free fall of the nation's currency. "Discussions have been initiated on how we can work together to strengthen the Argentine economy and these will be pursued in short order," Christine Lagarde, IMF's managing director, said in a statement. The IMF has been known to offer countries flexible lines of credit as a way to reassure markets they are following economic policies by the Washington-based fund. Countries can tap on the credit line at any time. Confirmation of the talks came hours after Argentinian President Mauricio Macri said he had asked the IMF for a credit line in a televised address. 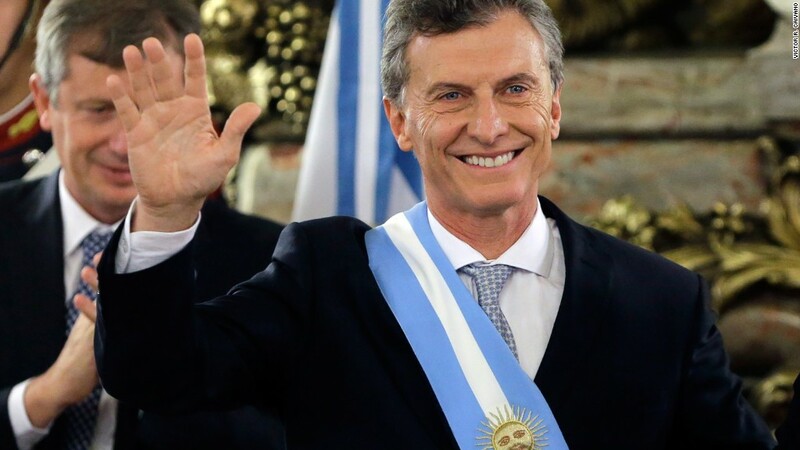 "This is going to allow us to strengthen our growth and development program," Macri said according to Bloomberg. "This will allow us face the new global scenario and avoid a crisis like the ones we have faced before in our history." Neither Argentina nor the IMF have said how large the credit line would be. It was the first time Macri has spoken since the central bank abruptly raised interest rates three times in a 10-day period to 40%. The country's currency, the peso, has plunged more than 18% this year.